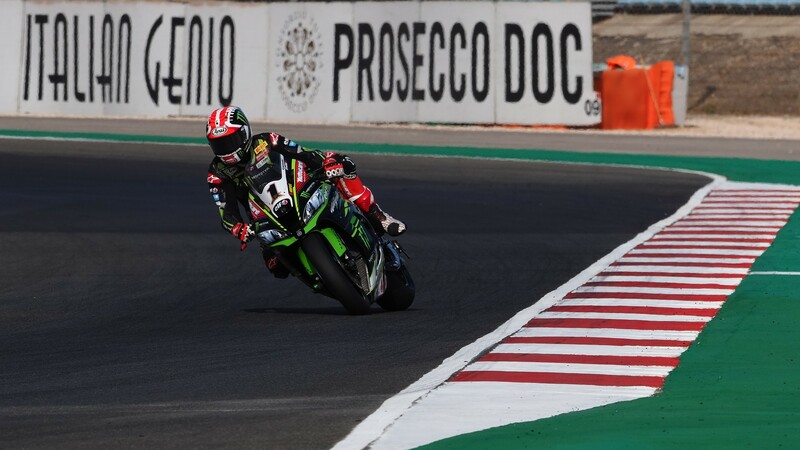 Jonathan Rea (Kawasaki Racing Team WorldSBK) picked up where he left off two months ago at the Misano Circuit and rose to the top of the timesheets in Free Practice 1 at the Autodromo Internacional do Algarve, as the MOTUL FIM Superbike World Championship riders kicked off the rust from the summer break and got back to business. 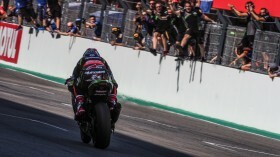 The championship leader was the fastest rider in Portimao three weeks ago at the official test, and he immediately returned to P1 in the morning session, recording the fastest time with his second timed lap, before improving it further in the final seconds. 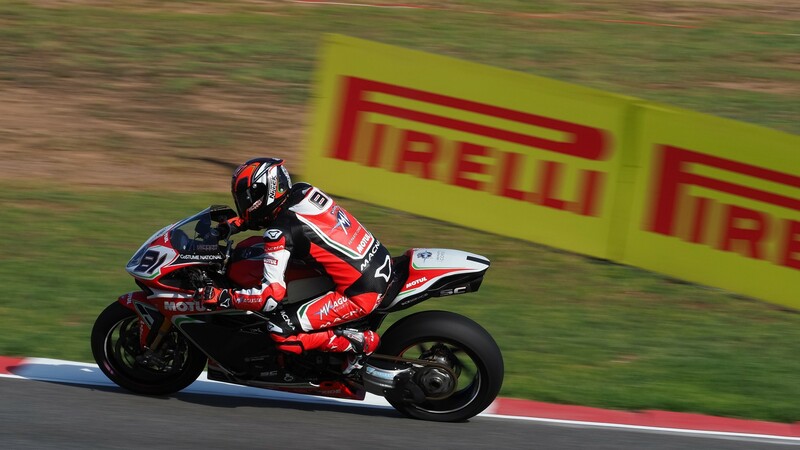 Jordi Torres (MV Agusta Reparto Corse) recorded the second fastest time of FP1 with a fantastic lap just half a second behind Rea’s best. The Spaniard rode more laps than anyone at the official test and put in a blistering performance early on Friday. 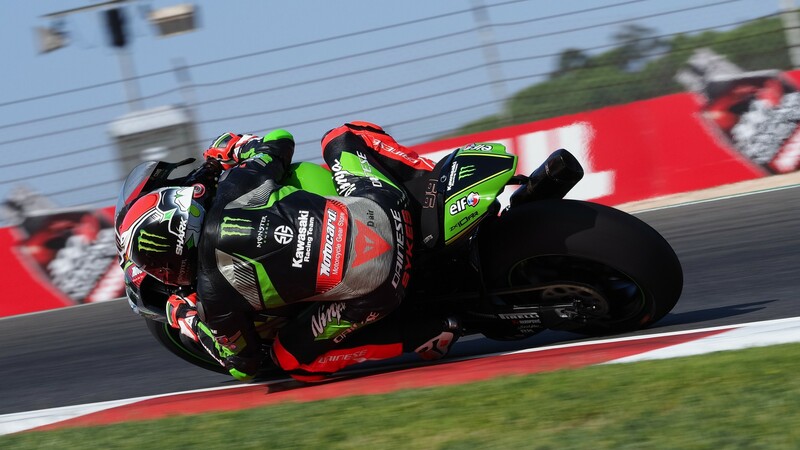 Tom Sykes (Kawasaki Racing Team WorldSBK) was forced to miss that test through injury but showed no signs of this affecting him here, taking the third fastest time in FP1 behind his teammate. The Brit is a two-time Portimao race-winner and looks up to the challenge this year. 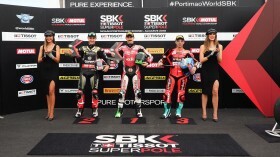 Xavi Fores (Barni Racing Team) took the fourth fastest time in FP1, ahead of Michael van der Mark (Pata Yamaha Official WorldSBK Team) and Eugene Laverty (Milwaukee Aprilia), making it five manufacturers inside the top six times. 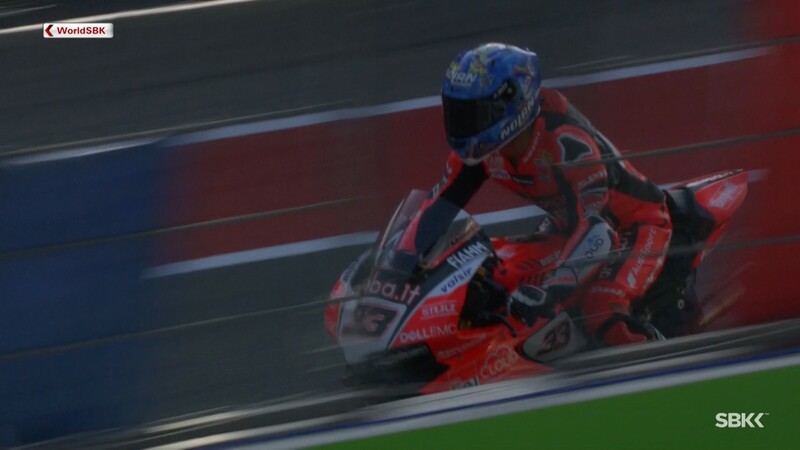 Marco Melandri (Aruba.it Racing – Ducati) was seventh fastest in the early session, while Chaz Davies (Aruba.it Racing – Ducati), still focused on returning to full fitness after his collarbone injury, could only end the session in thirteenth. 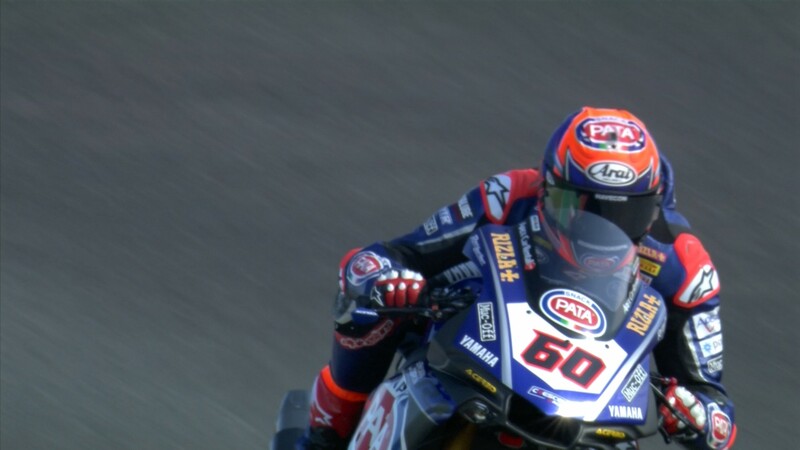 Alex Lowes (Pata Yamaha Official WorldSBK Team) in eighth and the two Honda bikes of Leon Camier (Red Bull Honda World Superbike Team) and Jake Gagne (Red Bull Honda World Superbike Team) in ninth and tenth, respectively, complete the provisional Superpole 2 spots. We’re back in a few moments with FP2 from Portimao, starting at 12:30 local time (11:30 GMT). 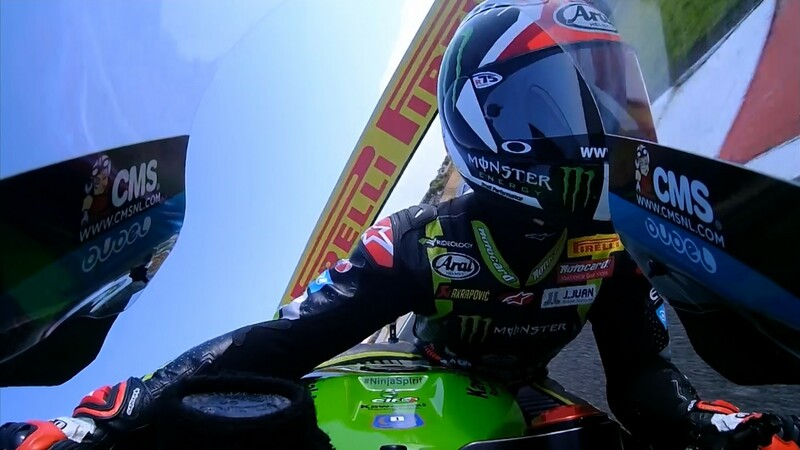 Catch all of the day’s action thanks to WorldSBK VideoPass.